Eating seasonal is important. It has many health and environmental benefits. Here are 5 green spring vegetables that you should be eating. Days are warming up and we are getting more sunlight during the day than before. As spring springs, it also makes spring vegetables bloom. Eating seasonally allows you to benefit most from foods because you get freshly grown foods full of flavor and nutrition. Try to buy locally grown organic foods because you’ll be helping your local farmers, as well. 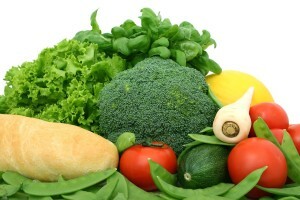 Spring is here and you should be looking for fresh spring vegetables in the market. Below, we have a list of 5 of my favorite vegetables that are awesome to eat and they are also full of nutrition and great for boosting your immune system. The best part is they are really easy to cook, if you’d like to cook these vegetables yourself. Asparagus is my personal favorite because you can easily prepare a dish with asparagus. You can add it to a variety of different types of dishes, and also steam, roast or grill it. Asparagus is extremely healthy. 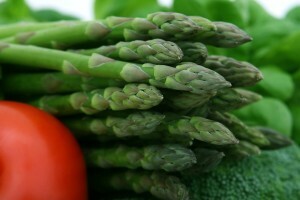 One cup of asparagus contains 114 % of the recommended daily allowance of vitamin K, which improves your bone health. It also contains 66% of folate that helps with your cardiovascular system. Avocados are amazing spring vegetables that are both healthy and tasty. Just add avocados to your favorite dish, add to salads, or eat raw on their own. A cup of avocado contains 23% of the recommended daily allowance of folate. 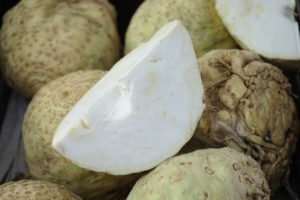 It also has health promoting carotenoids. In addition, the fat in avocados is actually oleic acid, a monounsaturated fat that is thought to increase levels of high-density lipoprotein (HDL). In combination with alpha and beta-carotenes, and luteinin in avocado, it becomes an extremely healthy food that boosts your immune system and fights cancer. Broccoli is another one of my favorite vegetables because it can be cooked and added to many delicious dishes. I personally eat a lot of broccoli with salads. My wife loves preparing a number of delicious dishes with a lot of slow-cooking, sautéing, and roasting, depending on how much time she has and what we have in the fridge. Broccoli is actually one of the healthiest foods that not only tastes great but also has a large spectrum of nutrition in it. It has ingredients that lower cholesterol, aid digestion, it’s a great antioxidant and a detoxifying agent that can neutralize and eliminate unwanted contaminants. Eating broccoli can solve vitamin deficiency problems, help control blood pressure, boost your immune system and could help you fight cancer as well. Beets are great sweet roots which are most commonly used in salads. Beets are delicious even when eaten raw, and they contain a variety of unique health-boosting nutrients which are extremely rare in other foods. They are also rich in vitamins A, B6, C, calcium, zinc, iron, magnesium, copper, fiber, and other nutrients. In recent studies, it has been found that these nutrients help you lower blood pressure and improve blood flow. Trainers have found beet root juice to boost your stamina in heavy training situations. It’s also an anti-inflammatory and cancer-fighting vegetable. Despite it’s looks, celeriac can be a very attractive addition to your daily diet. It contains high levels of vitamin C, vitamin B6 vitamin K, magnesium, manganese, potassium and phosphorus. These vitamins and minerals help you fight disease and improve your heart health. The fiber content in celeriac helps in digestion and helps you lose weight. No matter what time of the year it is, always try to find locally grown healthy vegetables. It will help your local economy and also the environment, not to mention your health. Try to cook food yourself instead of eating out, more often. It will ensure that you eat fresh organic food. It will also minimize waste, conserve energy and save your hard-earned money. P.S: To learn more, please join us live on our Next Blab! Also, subscribe to our blogs to find great articles regularly.